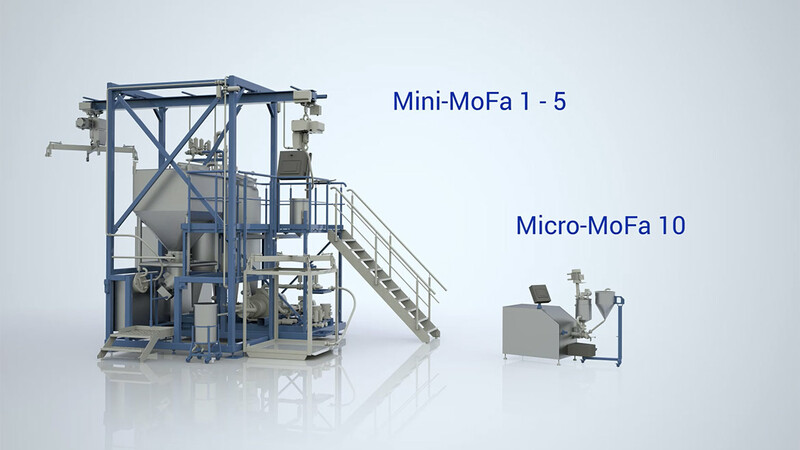 Hemmelrath Technologies GmbH provides advisory services to companies in the field of the unique modular production technology, the MoFa philosophy. We plan and implement systems for the production of formulation based products. Based on our know-how, we offer successful production concepts to the paint and coating industry and to companies working with formulations in general. Further, we integrate the modular raw material concept into existing installation structures. This alone can lead to process cost reductions of up to 30%. The modular production technology already meets the requirements of “Industry 4.0”. After the invention of the steam engine, mass production and automation, which is called “Industry 1.0 to 3.0”, 4.0 is the revolution of today’s industrialization. The modularization of processes is a prerequesite for this, from which the ramifications follow that with an integrated process thinking, the goal today is to constantly lower process costs even though the module costs may increase. Additionally, there is the fact that old processes in companies working with formulations usually do not permit production controlling. However, production controlling is a pre-condition for calculating process costs.